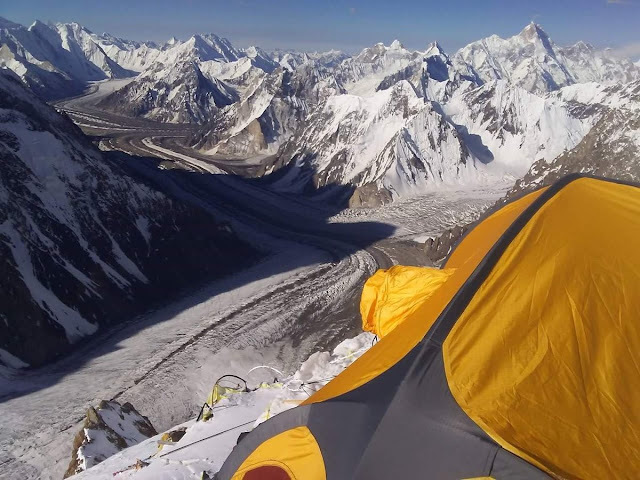 Everyone knows the K-2 is the most famous and one of the difficult mountain peaks in the world to climb. 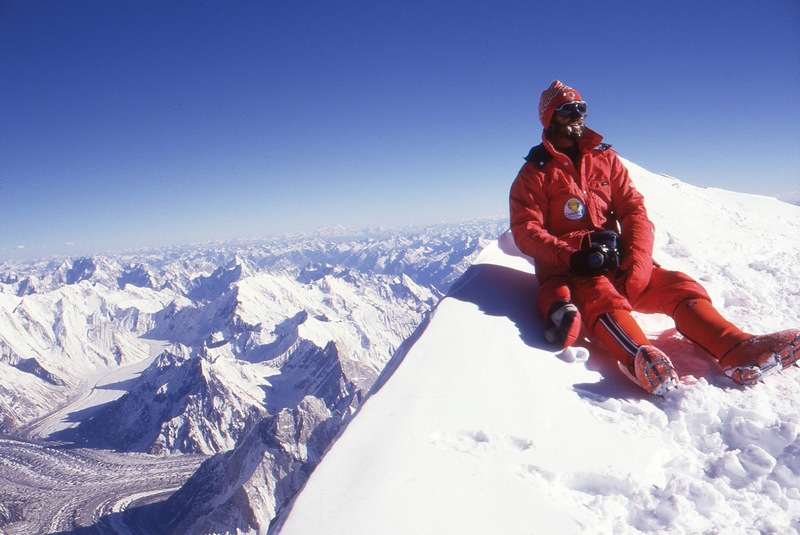 Even experienced mountaineers have expressed that Everest is not that difficult to climb than K-2. But the question arises, how does it look from the top of K-2? 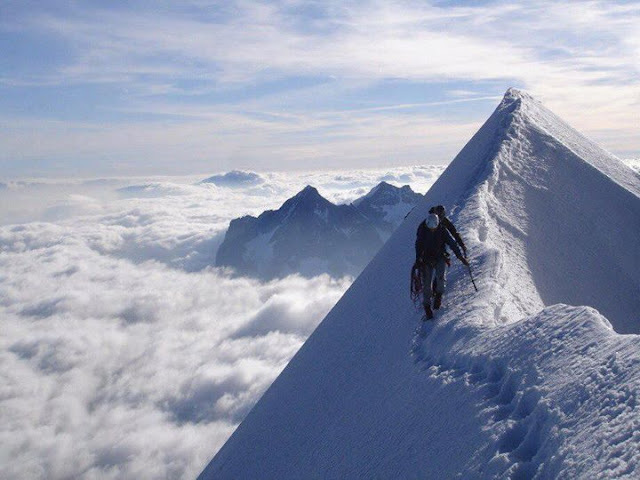 Why is it so difficult to climb? If it is difficult than the view downside will be certainly incredible. So, today we'll clear all these questions. What does it look like from the top? First, you need to know that K-2 is different altogether than other peaks. 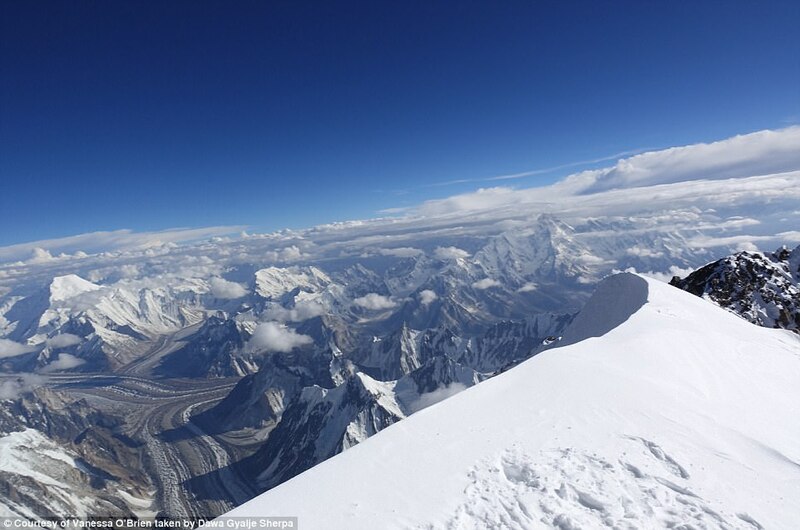 This is in this sense that other highest peaks, commonly knowns as EIGHT THOUSANDERS (mountains having a height of more than 8000 meters), don't have many big mountains in the surrounding. But the special thing about the K-2 is that it has 3 mountains in a surrounding which are 8000 meters and almost all the mountains surrounding are more than 7000 meters tall. So, if you have a look at the top it will look incredible. The gleaming icy summits will be shining like a crystal. 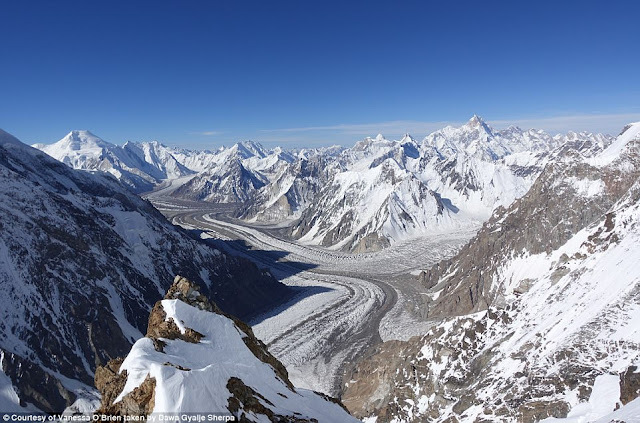 Another amazing thing you will observe from the top of K-2 is the Baltoro Glacier (62 km), the largest glacier in the world excluding the polar regions. The road like thing which you see in the picture above is the Baltoro Glacier. 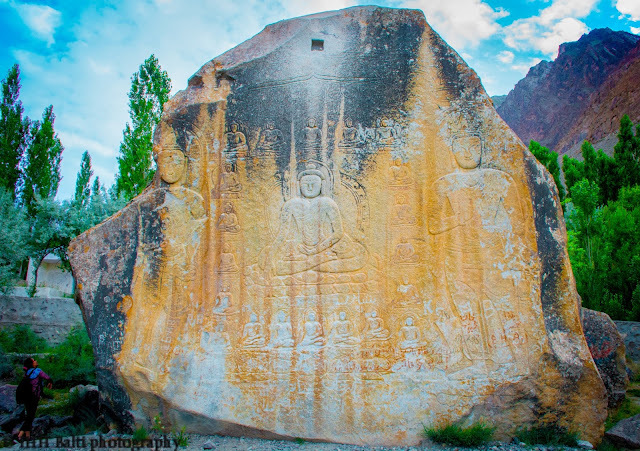 The towering rocky mountains on both sides of K-2 makes it the most beautiful scenery in the wilderness of Karakoram. Another amazing thing to observe is the sunset time. 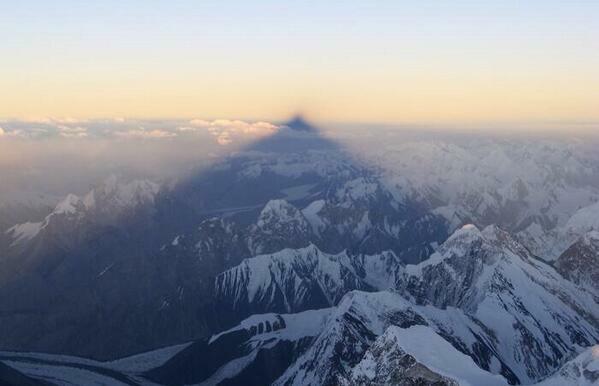 The K-2 pyramid throws a giant shadow at the mountains in the east. 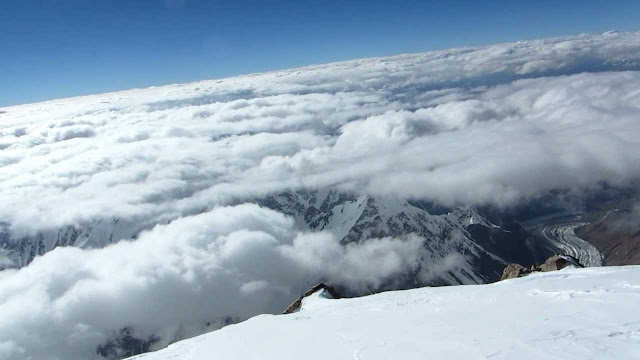 When we talk about the safety issue the cloudy weather is the most difficult one for climbers. The reason is when the clouds surround the mountain the temperature plunges to some below -20 degrees and the parts of the body stops working. One can't feel the hands and foot and other parts of the body. But in term of photography and scenery, it provides a perfect scene for a beautiful and picturesque shot.